In my last post, I talked about how the LeNet Convolutional Neural Network model is capable of handling much more complex data than the intended MNIST dataset. 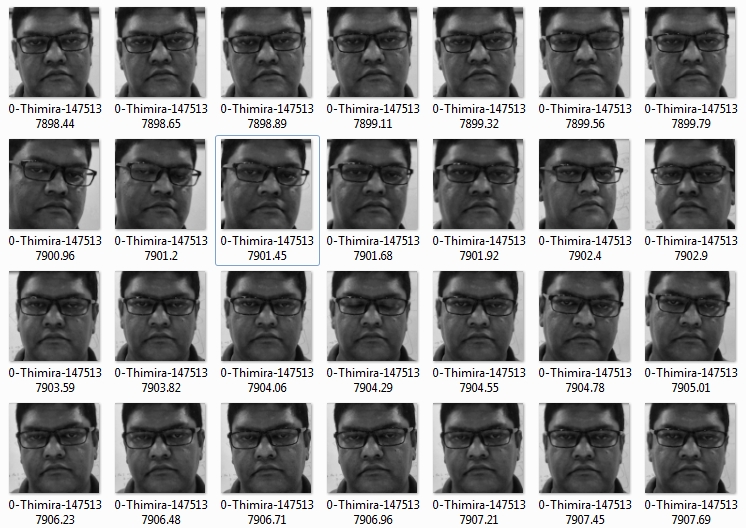 We saw how it got ~99% accuracy when it learned to identify 10 faces from the raw pixel intensities. So, let’s see the code I used to get it working. First of all, I needed a training dataset. 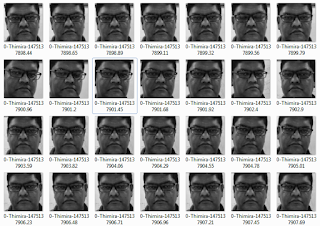 For that, I created a set of face images of 10 subjects with around 500 images each. I use a file naming convention as <subject_label>-<subject_name>-<unique_number>.jpg (e.g. 0-Thimira-1475137898.65.jpg) for the training images to make it easier to read in and get the metadata of the images in one go. (I will do a separate post on how to easily create training datasets of face images like this). We’ll use the train_test_split method to split the training dataset to train and test sets. I used 10% of data as the test set. We need to convert the labels form a numerical value to a categorical vector. E.g. the label 3 should be converted to [0, 0, 0, 1, 0, 0, 0, 0, 0, 0]. We use the np_utils.to_categorical method for that. The value 10 is the number of classes in the dataset – 10 faces in our data. Keras expects the input data to be a numpy array with the shape of (samples, channels, rows, cols). When we convert the image list to a numpy array – using np.asarray in above code – we get the shape (samples, rows, cols). We add in the channels dimension as a new axis - [:, np.newaxis, :, :] – since we only have 1 dimension (since our images are grayscale). The pixel values in the images range from 0 to 255. So finally, we make the pixel intensities to a value between 0 and 1 by dividing the whole array by 255. With our data ready, we build, compile, fit, and evaluate the LeNet model. The width and height should be the width and height of your images. We’ll be getting about 99% accuracy. Here you see LeNet has successfully recognized my face. It works with different poses of the face too. I'm planning to see whether we can use this on a real-time face recognition task also. Will keep you posted. I see that you have applied LeNet model which was used on MNIST dataset for classification to perform face recognition. So what do you think is the fundamental difference between the problem of "classification" and "recognition"? 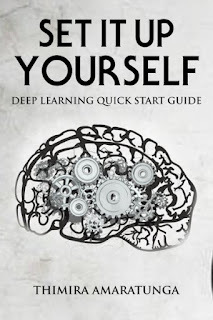 Classification is when we group a set of items in to two or more categories, typically done via supervised learning using a labeled training set. 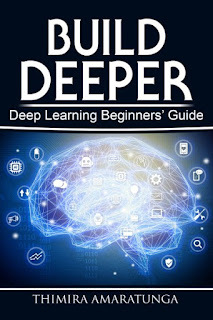 Recognition is when we attempt to identify general patters among our items set, typically done via unsupervised learning and without a training set. However, when we come back into the context of 'Face Recognition' the terms are used out of their general meaning. When we talk about Face Recognition, what we are actually doing is classification. (and all implementations of face recognition that I'm aware of are doing the same). 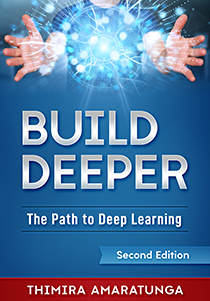 We do use supervised learning, and we do use a training set. An algorithm that can perceive a face and recognize it unsupervised is yet to be developed. It's a good hard problem to tackle. Would like to hear your thoughts as well. Your answer explains it all. Thank you! How can I create a dataset of images like you did. I've actually created a small Python script using OpenCV to create a set of face images from the webcam, and automatically save the cropped images of the face with a given label. I'll soon do a post on how I did it with the full code of that script. Hi! I just discovered your blog and it looks really useful. Did you by any chance write the post about the creation of the dataset? I can't find it! I need it too in order to try your code. Hi, thanks you for this article. However i would like to explain me how i can you this code i.e how i can execute it. please reply how you passes weights and save model through arguments...by giving the complete path ? Sir, can you please give your trained weights. The trained weight from my model would only work with the face dataset which I created and used.